This was a book I actually bought, full price, on its release day, in an actual shop. After a job interview, I decided to go to Waterstones to make myself feel less anxious and calm down and I ended up leaving with a copy of this book. (Spoiler alert: I got that job, that’s my current job, yay me!) 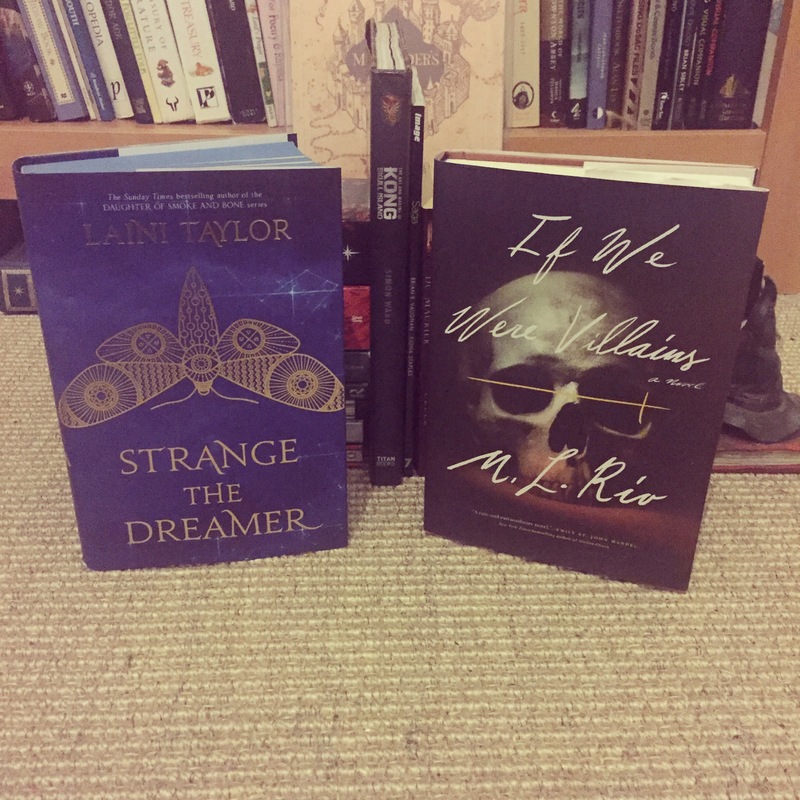 I adored Laini Taylor’s writing style in Daughter of Smoke and Bone (though I’m yet to continue with the series) so I’m sure this one will be as beautiful as its cover design suggests. The US hardback edition is STUNNING. And it was released much earlier than the UK edition which is paperback and nowhere near as aesthetically pleasing. So, what’s a girl to do? Order the US hardback edition, clearly. And I’m SO glad I allowed myself that because it’s beautiful, it really is. I’m like 92% sure I’m going to love the story within it too since it’s likened to The Secret History by Donna Tartt but it’s about young Shakespearean actors rather than Classics students. I feel like this is a book for me. I’m really trying to read a few more classics that aren’t from the 19th century or older (since that’s what the entirety of my university study consisted of) so I’m trying out a few different authors and Evelyn Waugh is one of those. Annoyingly, I bought this used from Amazon and it was a different edition than the one listed so the cover design of it doesn’t match my Brideshead Revisited – ok, it’s definitely a trifling, silly first world problem but it’s definitely a bookworm problem, amirite? I’ve been looking for any edition of this book whenever I go into used bookshops – it’s weirdly difficult to find. I’m not that fussed on reading Hemingway’s novels, to be honest, but I AM intrigued by this non-fiction because I’m told this wonderfully conveys the artsy scene in Paris in the 1920s when Hemingway encountered the like TS Eliot, F Scott Fitzgerald, Ezra Pound, Gertrude Stein etc. etc. Well I found this one in the local Oxfam bookshop and I’d never seen this edition before and it’s art deco-y so of course I bough it. I was pleasantly surprised to find that I really enjoyed A Room with a View so I thought, whilst I’m still blinded by that surprise, I would give Howard’s End a go. Some people say it’s boring, some people say it’s so great, some people claim to have read it but they haven’t really – I don’t want to be in that third group of people, I’d like to be in the second, so I suppose I should get to this sooner rather than later. but, until then, it’ll sit with the rest of my Penguin English Library editions and look every so pretty. I don’t need any more copies of Shakespeare’s plays, I really don’t. I have a huge complete anthology that has pretty gold-edged pages. 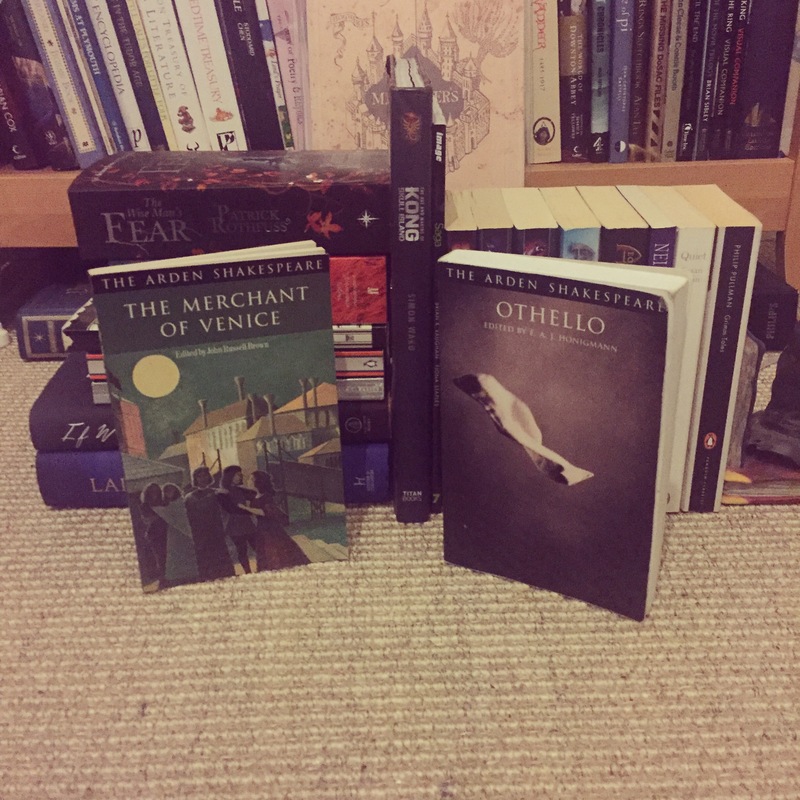 But it’s a nightmare to actually try to read so I tend to accidentally buy single-play copies via the Penguin Shakespeare series or the Arden editions. The Arden editions are usually quite comprehensive and I like their page layout and typesetting (yeah I’m a geek like that). So when I see when I find it hard not to buy it – so I bought it. I finally got through The Name of the Wind (third time lucky?) and discovered that I was actually really quite intrigued by this story. Don’t get me wrong, I have some issues with Rothfuss’ first book but they’re not insurmountable so I picked this sequel up for a pretty good price. It will take me months to work up the courage to tackle this beast of a book but at least I now have it sitting on my shelves ready to go when the mood takes me. For months I have heard about this book. I fully expect it to take me months to get round to reading, since it’s quite the hunker of a book and I hear you really need to invest time into it. 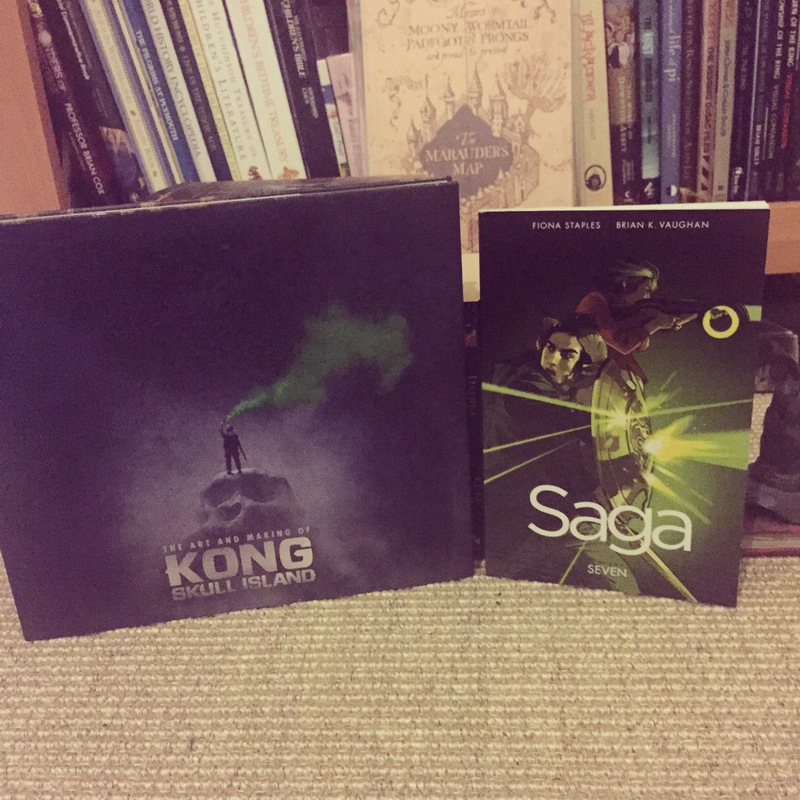 However, I’m a sucker for buying ridiculously chunky novels so I’m sure it’ll come in handy when I’m in the mood for that. 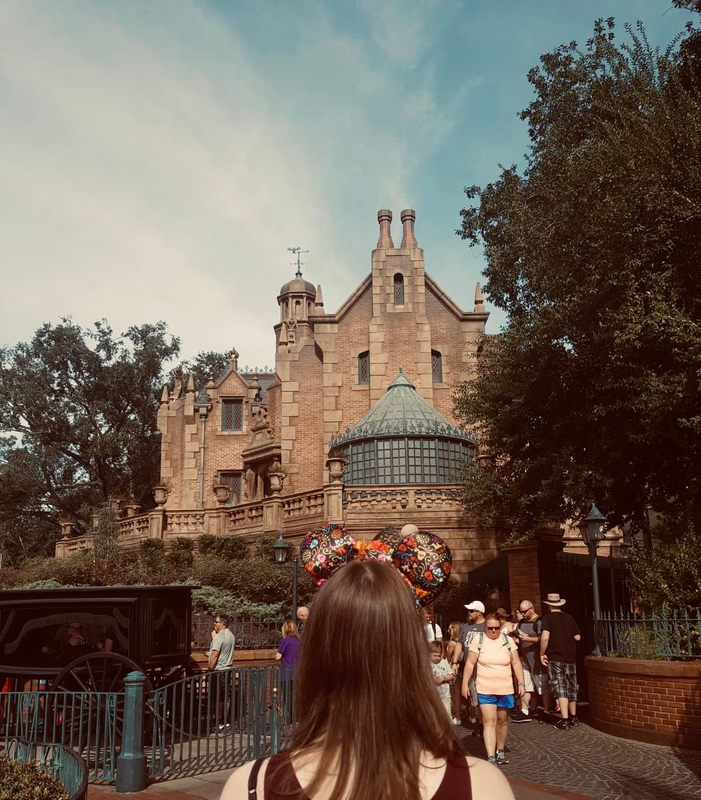 I adored the film (no one is surprised Emma, move on) and, hey, I know it was a big silly blockbuster but I like big silly blockbusters starring my favourite actor, ok?! Besides, this film’s locations and the cinematography were visually STUNNING, hence why I needed to buy a behind the scenes look at the art of the film. I love books like this, it shows much care and attention is put into every single shot of a film, and the amount of work that goes on before an actor even steps foot on set. Titan Books haven’t let me down in the past with this range of books (the Crimson Peak one is beyond stunning, there are no words) so I’m confident this will be one to treasure and display. The latest volume of Saga – obviously this accidentally dropped into my Amazon basket. Quelle surprise. I’m not much of a graphic novel reader but Saga is something else – an epic space opera that is bonkers and brilliant and just so damn beautiful, visually speaking. I went on a day trip to York with my mum whilst I was home for a week’s holiday after I had left my previous job. Needless to say, much food was consumed, many shops were visited, and many books were acquired. York has some really great spots for used book shopping so it’s unsurprising that I came away from that day weighed down with books on the train home! 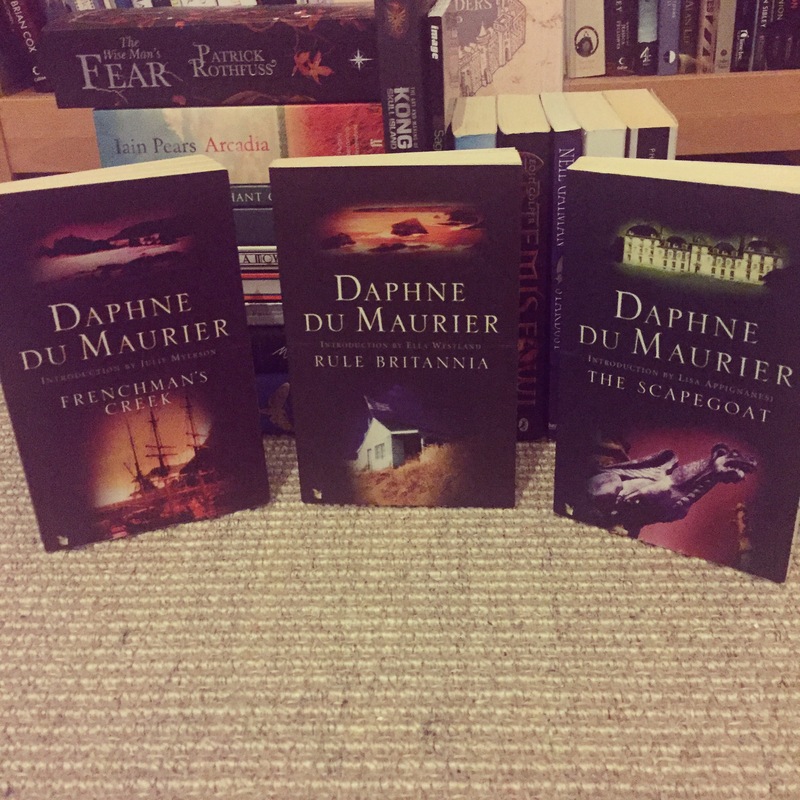 I love Daphne du Maurier’s Rebecca, it’s my favourite book, and so I am slowly accumulating the rest of her novels. The editions I have are Virago Modern Classics but not the newest super gorgeous ones – I considered switching out my edition of Rebecca to one of those editions and starting to collect them instead (because they are the ones shops are now stocking) but I just can’t substitute “my” copy of Rebecca for a new one so I’m left to hunting down any of her books with the old cover design of the VMC editions instead. I found these used in The Minster Gate Bookshop (one of my favourite bookshops!) so I snatched them up straight away. I loved the Artemis Fowl books when I was younger and, for some unknown reason, I’ve started to acquire a small collection of the books I enjoyed as a kid, since a lot of them were borrowed from my local library at the time. 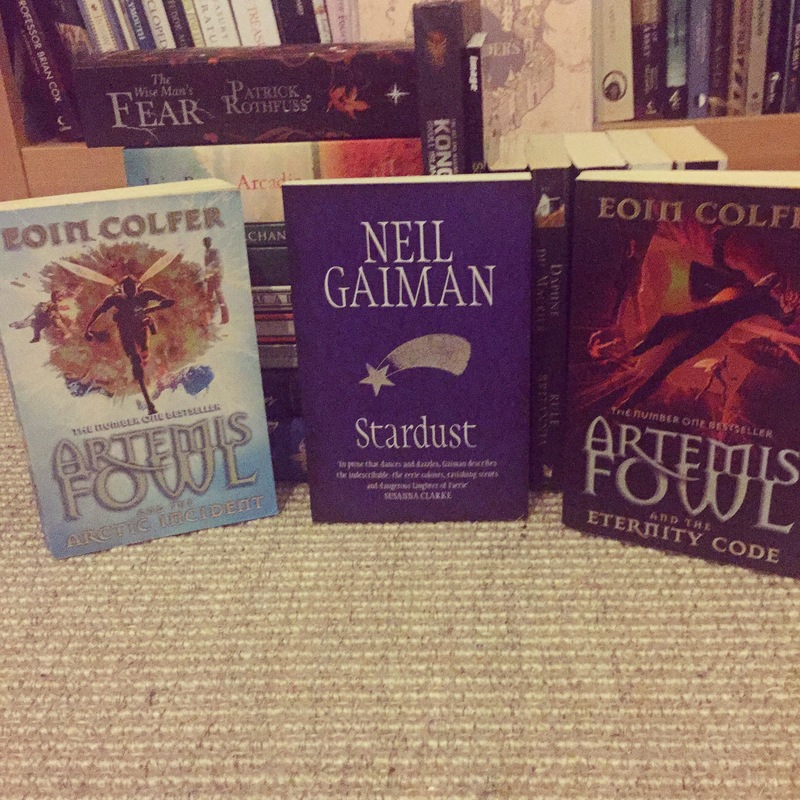 These are the latest acquisitions to that effect – Artemis Fowl was definitely a forerunner of my love of snarky, morally grey protagonists. I very much enjoy Gaiman’s writing so I’m slowly collecting paperback editions of his works. I’ve read this book (I think) from the library once and I really enjoyed it. Also the film is also a not-so-secret pleasure of mine and, despite the differences, I really like the darker tone of the book, as far as I can recall. I’m hoping to re-read this soon to make sure I actually did read all of it previously and that I still enjoy it as much as I think I did. I don’t read enough non-fiction, but some titles occasionally catch my eye. For example, this one, whose subtitle claims this examines “the power of introverts in a world that can’t stop talking”. I’m definitely introverted and I always feel like I’m at a professional and personal disadvantage because of it; so many people who do well in the field I aspire to work seem extroverted and so good at networking (whilst the mere idea of that makes me anxious) so I don’t know I’m just curious to read a book that champions the strengths of the introverts! I really like Philip Pullman’s writing so it makes sense that I should be ALL OVER this. 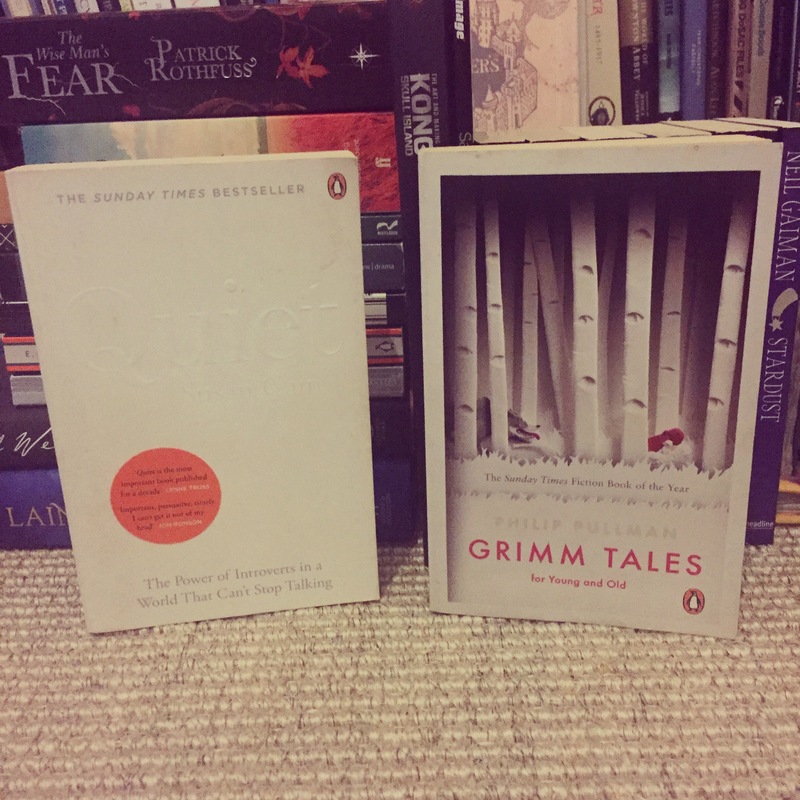 As far as I understand it’s Pullman’s take on fifty of his favourite tales from those originally gathered by the Grimm brothers. I don’t know enough fairytales, aside from the obvious ones, but I enjoy retellings so I’m definitely curious to give this short story collection a go. Well, there we have it, folks, that was the evidence of my terrible sense of self-control from the last few weeks aka my book haul! 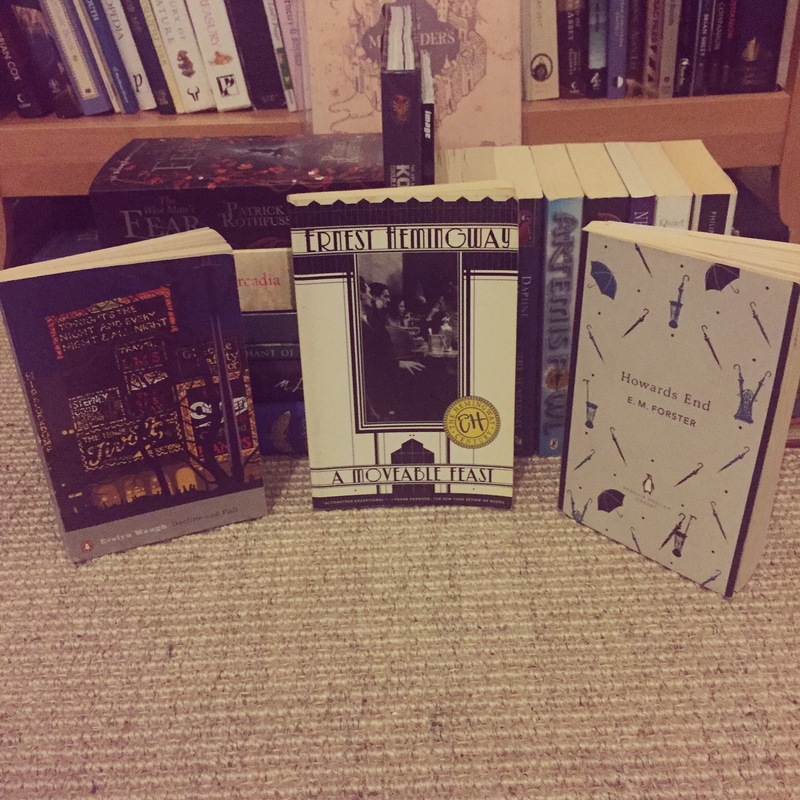 Are there any books from my haul that you’d encourage me to prioritise? 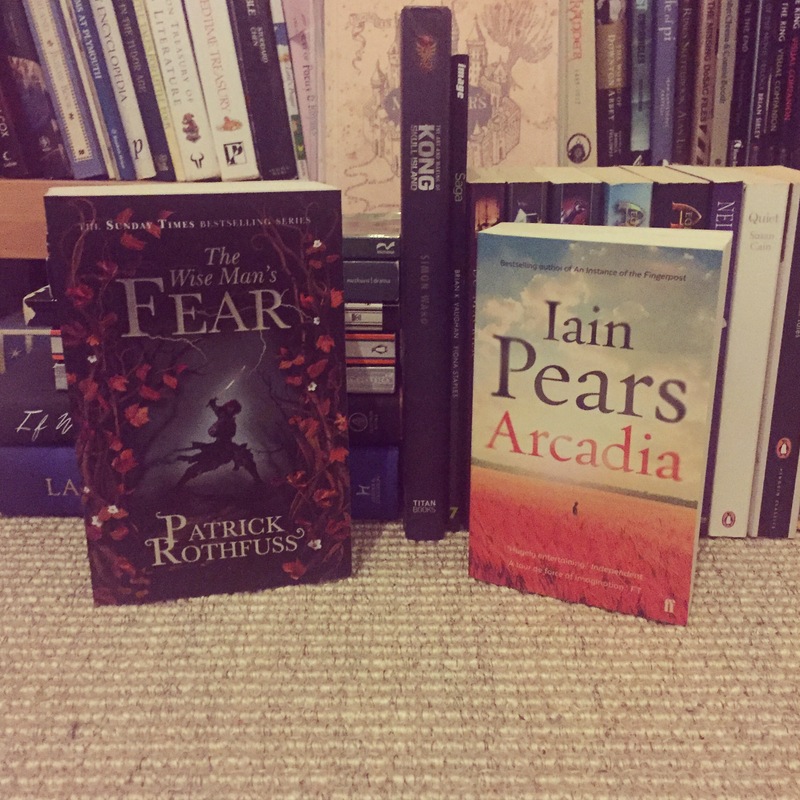 Are there any books you’ve picked up recently that you’re really excited for?